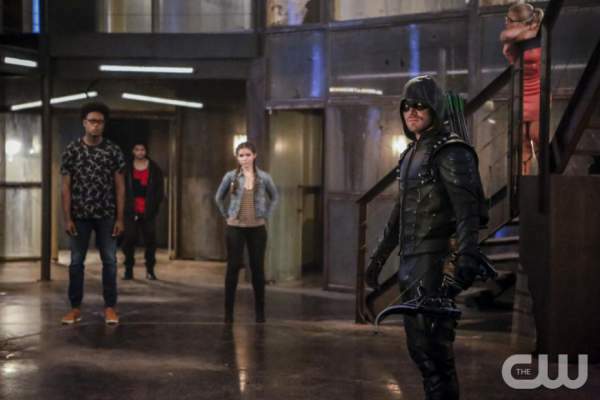 Arrow Season 5 Episode 5 Spoilers, Air Date, Promo, Synopsis 5×5 Updates: The next week’s coming chapter gives us a sufficient number of reasons to be excited. We are going to see more of Tobias Church and the appearance of one of the familiar and title character from the DC Comics world. The show has already shown characters like Vixen and Constantine before. Likewise, it looks like the new face in the show will serve for a small amount of time. However, it may also set up the foundation of how it will be used further in the installment or coming seasons. Check: Game of Thrones season 7 predictions. The upcoming episode is titled “Human Target” and official synopsis reads the following. Oliver will reach out to an old friend to seek his help else he would end up without his team soon. At this moment, there is nothing much going right for the new Team Arrow. Instead of doing all things right, they end up doing a series of comedy errors which results in happening one thing wrong after another. Moreover, Felicity’s new boyfriend, Detective Malone will join Anti-Crime Unit (ACU) and soon he will start knowing her secret. It will be interesting to see how they handle the situation. Adding to it, the Human Target is seen talking to Church in the promo. Let’s see if he saves his friend or he will help the evil man in killing the Mayor. The promo further shows in how much danger Oliver really is in as the Mayor and not the Green Arrow. Tobias Church is after the Mayor as he sees him as the force of making the city do what he really wants. Arrow season 5 episode 5 will air on November 2, Wednesday on the CW network at 9 pm ET. What are your predictions and hopes from the show? Where do you think the show is leading to? Feel free to share your thoughts. Stay tuned to The Reporter Times for latest Arrow news and other TV series updates.